Sometimes even the best preschool curriculum can’t cure cranky toddlers, unforeseen surprises, and super tired or sick Mamas. When it all goes wrong do you fold and cry or persevere and find a quality outcome? For me, the answer is both. Here’s our real life, survival story of how we made the best of it when it all went wrong. We were super excited to start using Dance ‘n Beats the dance and fitness supplement available through Mother Goose Time. The plan seemed like a slam dunk. The kids adore Mother Goose Time! They are always putting on impromptu shows for us set to the Mother Goose Time music CD. 1) Play the DVD and learn together. 2) Teach yourself the dances using the DVD and rely on the cues in the book to teach the kids while playing the CD. 3) Use the piano melody lines provided in the accompanying book. We aren’t big on screen time at our house, so my plan was to learn some of the choreography using the DVD and then use the music CD to teach the kids to do the dances. Then I got sick. Suddenly our dance party with quality together time turned into a DVD playing desperate attempt to entertain the kids and keep them active while I worked on breathing, eating, and sleeping. When the video started playing the kids didn’t move. The choreography was just above their heads, but totally doable with some help. I started trying to teach them how to do the dances and realized I had no idea how to break down dances to the level of a preschooler and toddler. I’m a pretty accomplished dancer and active Zumba goer, but I was unsure of how to simplify the dances so that the kids were comfortable doing them. Fortunately, I discovered that Dance ‘n Beats had an instructional video aimed at teaching this exact information! I’m thrilled to say this was a huge help and the kids and I were finally able to start doing some dance moves. So, I got a little ambitious and scanned the book for a project that the kids could enjoy alongside our new found dance acumen. 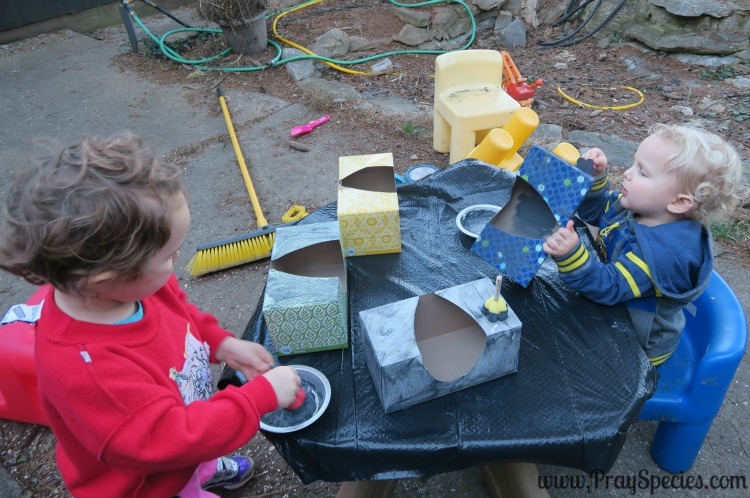 Both kids enjoy the Mother Goose Time crafts and projects, so putting it all together seemed like a huge win. Then it all started to take a turn for the worse. For our first experience, we picked a simple, but fun activity that involved the kid’s favorite mediums: paint and glue. 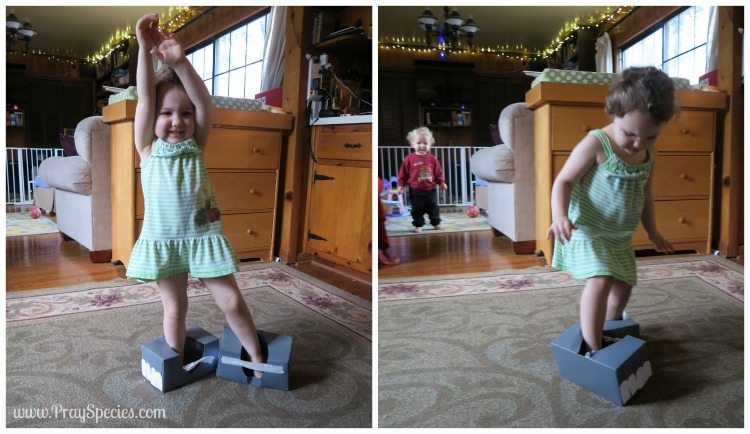 The project was meant to go along with a dance called Elephant Stomp. 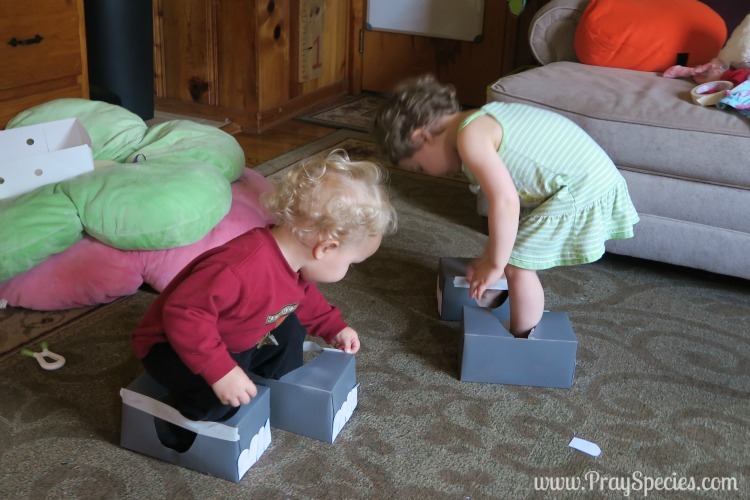 The kids were to make elephant feet out of tissue boxes to wear during the dance. 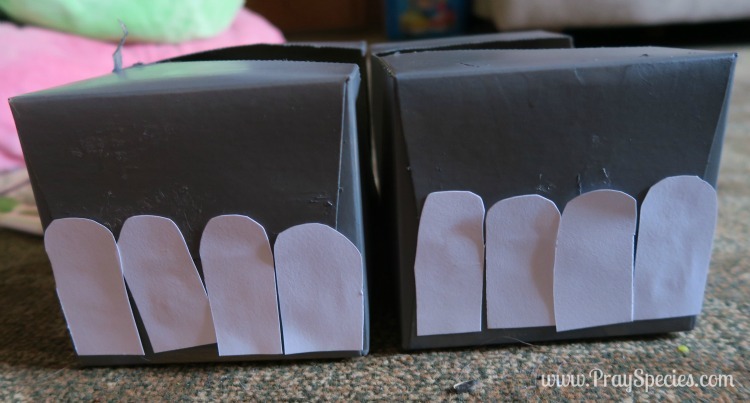 The tissue boxes were to be painted gray then white paper was to be used to make toenails that could then be glued onto the boxes. Sounds fun, right? 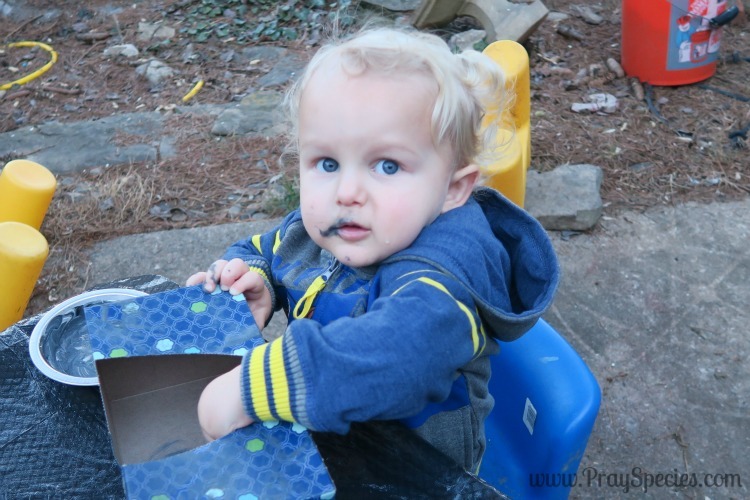 The paint I choose (washable and non-toxic) didn’t work to cover the boxes entirely causing my eldest to have a small melt down. It was cold. It was wet. It just plain wasn’t fun. And, yes my youngest ate some paint. Sigh. Once we discussed how things don’t always go the way we want them to and we might have to try a different way of doing things, life got a little better. We went ahead and finished the painting of the boxes, primarily because offering to do something else went over worse than the paint not being full coverage. It was fine. Not great, but it kept the kids occupied until dinner. Later in the dead of night with a heater going in the middle of the winter I spray painted those suckers! I may have enjoyed the spray painting more than was reasonable; it was quiet, I was alone. I then stuck the spray painted boxes in our laundry room where it was warmer to dry overnight. The stink was unbearable! Whoops! The next day the smell had dissipated and we glued the white toes onto the box. 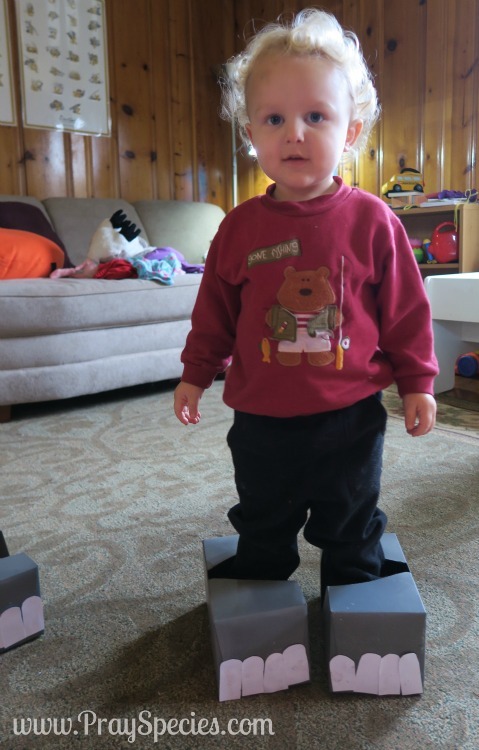 The kids placed the tissue boxes on the feet and we were ready to go! And as long as they stood perfectly still they were fine. Except, I had purchased the wrong kind of tissue boxes and the hole extended from the top down the side. The opening was too big for their little feet! I tried using masking tape and stuffing the ends of the boxes with socks. We ditched the elephant feet. We danced and sang elephant stomp with some stuffed animals. 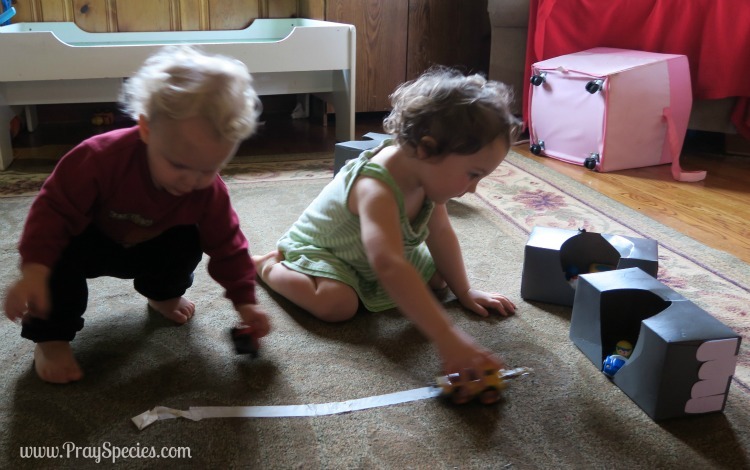 We turned the tissue boxes into parking garages and stuck the tape to the floor to make roads. We had a blast. Let’s sound professional and call it an extension activity! We are pleased to report that after some additional training and time, we now love Dance ‘n Beats. The kids and I have boogied down to the “Going on Safari” songs all month long. Next month as part of the “Food and Fitness” I think we are going to try to make some polar bear feet. It uses socks and cotton balls. No more tissue boxes and paint! Possibly ever! LOL I can’t wait to report our next adventure! Even when you have one of the best preschool curriculum available, things are still going to test your patience, energy, and time! Take a deep breath! It’s just part of being an educator and a Momma. When “life happens”, cut yourself some slack! Letting them watch TV or taking sometime away from your regular routine won’t kill them, but it also won’t necessarily get them moving. Accept that sometimes you can’t be perfect or do it all well all at the same time. At least this Momma can’t! And try again. Don’t give up on yourself or your kids. If you can’t figure it out ask for help. I’m a huge fan of Mother Goose Time and they have always been quick and helpful in response to my questions and concerns. But I also know that no matter how wonderful a company and how great the materials, it can still be incredibly trying to manage more than one small child at a time, or depending on the day one small child all alone. I’m happy to share tips and tricks. 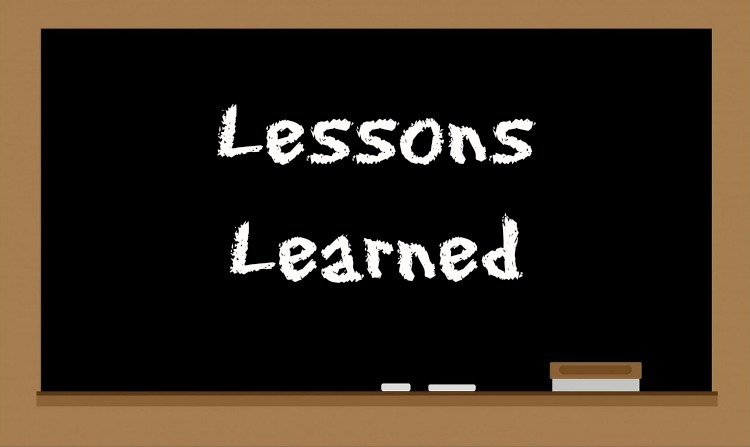 You can also learn a ton from the other Mother Goose Time bloggers (link to Feedly group). Spray paint is really fun, but super stinky! Have fun, but remember to ventilate well and only use when the weather outside is above 50 degrees Fahrenheit. A craft that goes badly can always be re-purposed. These are the opportunities for your kid’s creativity to shine. Trust me, they’ll find a use for those materials and ideas! 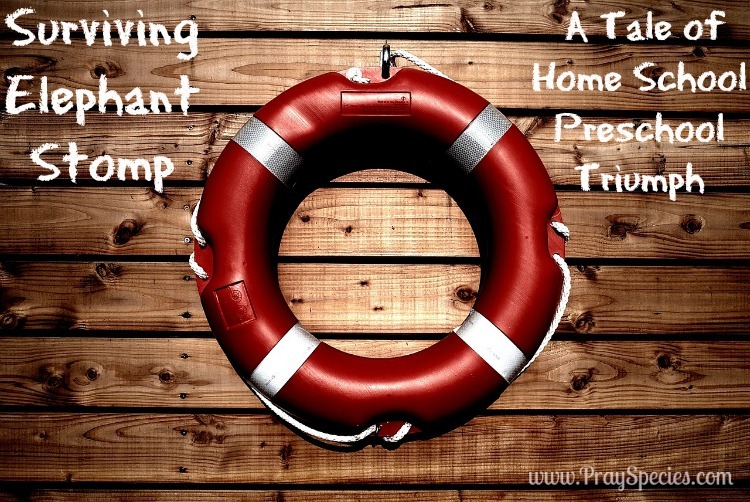 Sometimes homeschooling preschool is messy, but it’s precious time with your children. Don’t miss it! Have you had a rough home school day recently? Any advice?